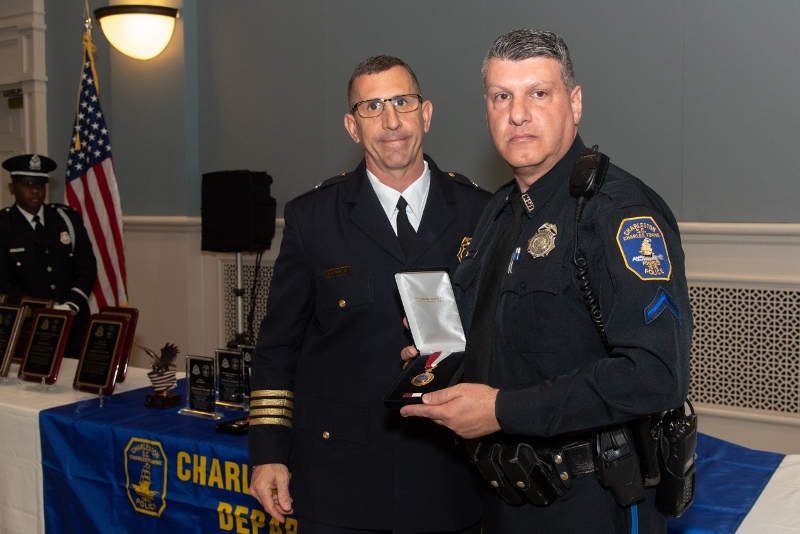 In a deliberate and humble manner, the Charleston Police Department holds an annual awards ceremony to honor those police officers, civilian employees, and residents who have excelled, demonstrated exceptional service to the community, and contributed substantially in the police department’s quest to achieve its mission. This is our way to make these exceptional people aware that they are appreciated and serve an important role in our society. 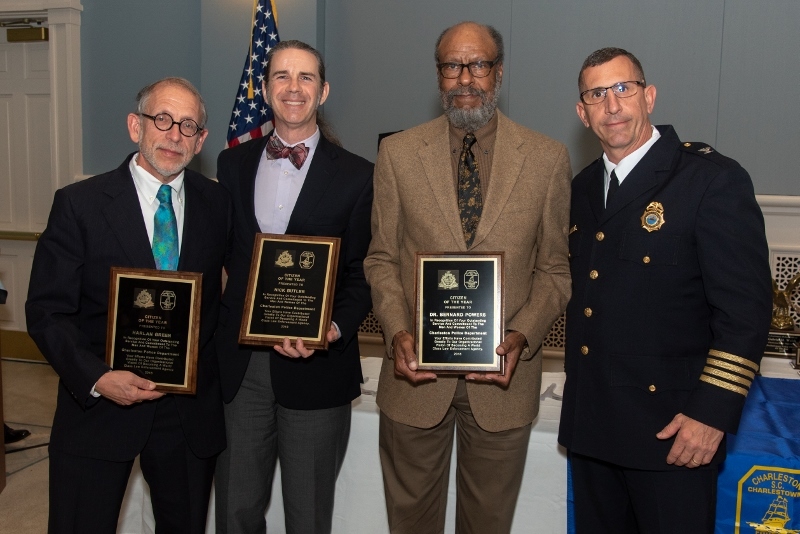 Through the individual and collective efforts of the award recipients, The City of Charleston and its neighborhoods are safer and more livable. 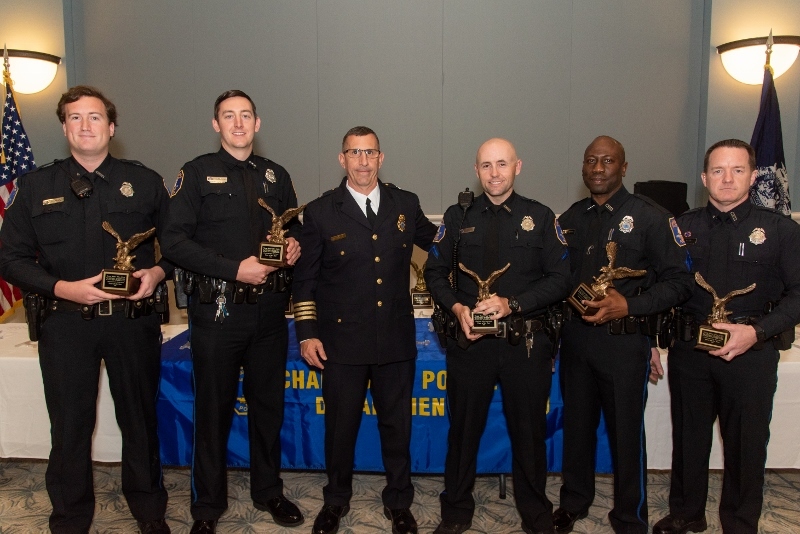 Among the awards presented are the Medal of Valor, for bravery and heroism; the Lifesaving Award; and Employee, Citizen, Volunteer, and Team of the Year. 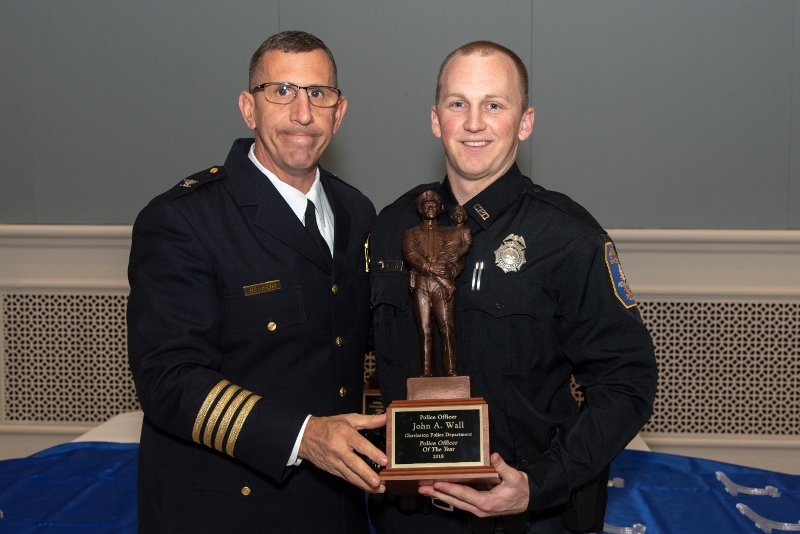 Through this ceremony, the Department formally, through symbolism and public recognition, acknowledges the outstanding performance and contributions made by each of the award recipients. Their selection distinguishes them among their peers and says that for this particular period in time they are the “Best of the Best.” Our admiration and appreciation goes out to each of them for their dedication and commitment to making Charleston the very best it can be. 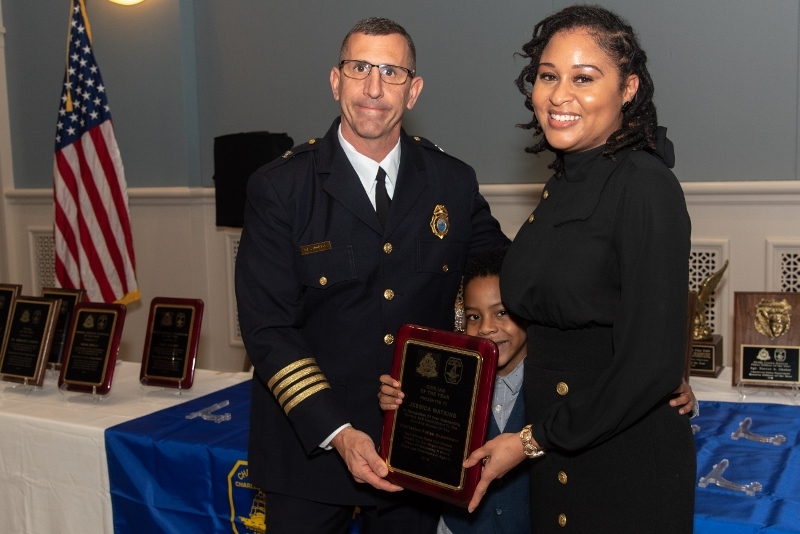 Citizen of the Year award by Chief of Police, Luther T. Reynolds on February 27th, 2019. 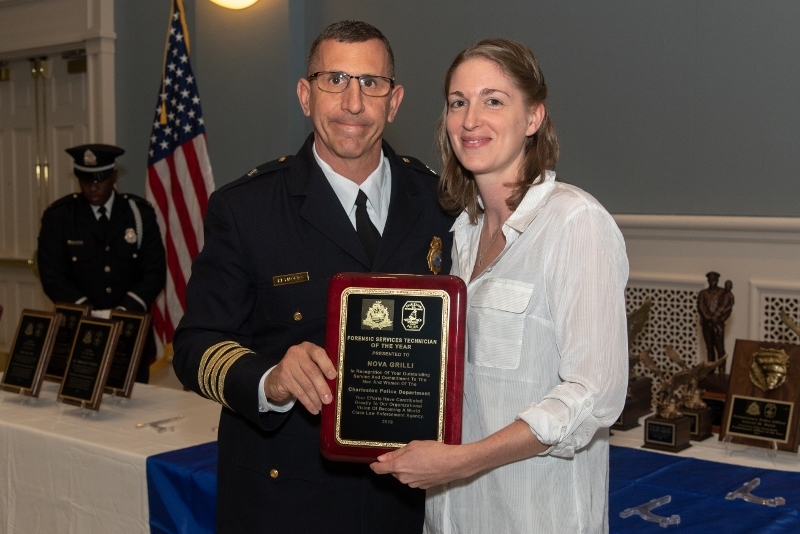 Charleston Police Department by Deputy Chief of Police, Naomi Broughton on February 27th, 2019. 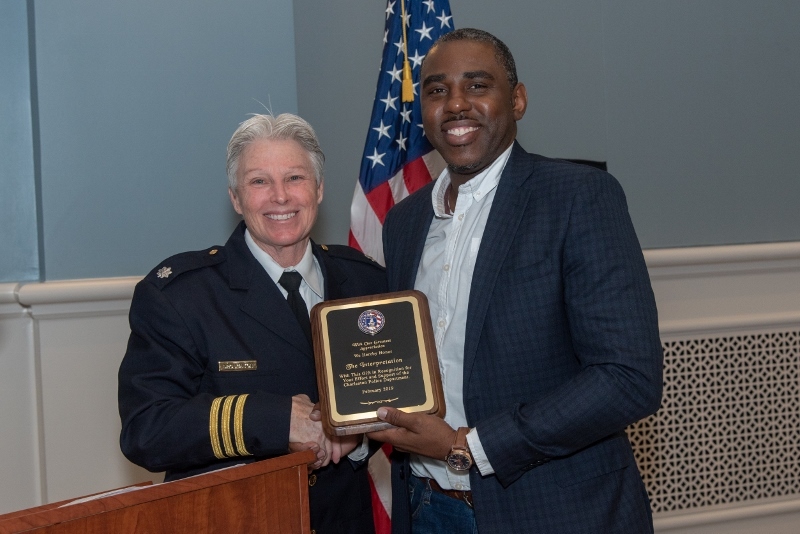 Department by Deputy Chief of Police, Naomi Broughton on February 27th, 2019. 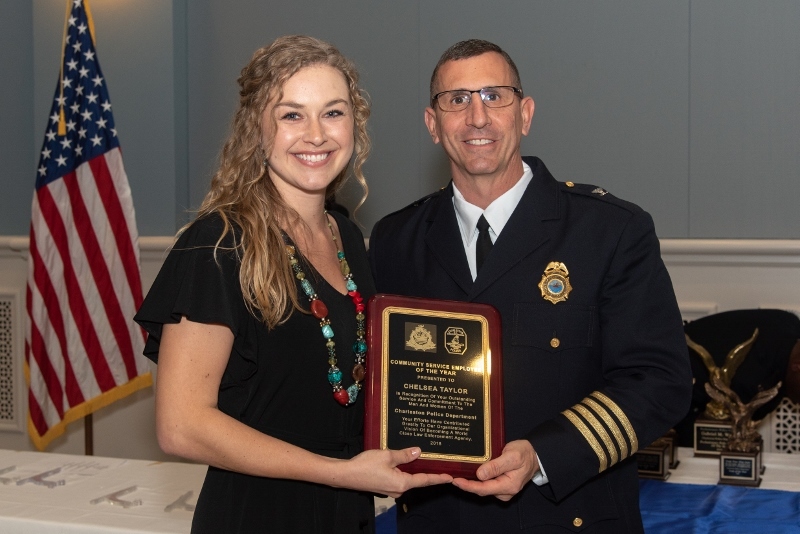 Chelsea Taylor was chosen as the Charleston Police Department's Community Service Employee of the Year. 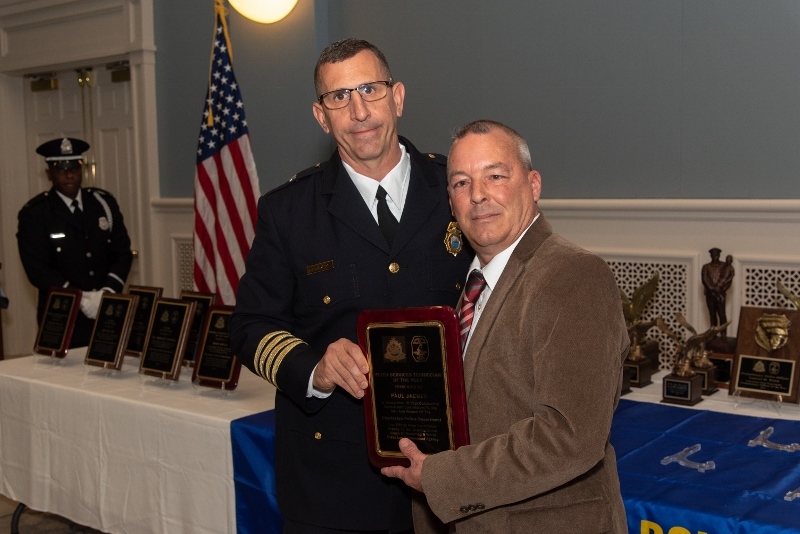 The award was presented by Chief of Police, Luther T. Reynolds on February 27th , 2019. 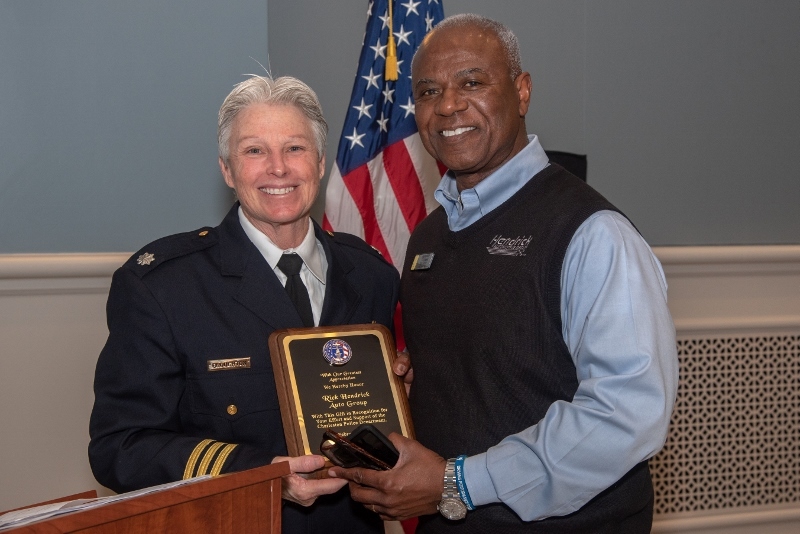 Chief of Police, Luther T. Reynolds on February 27th, 2019. 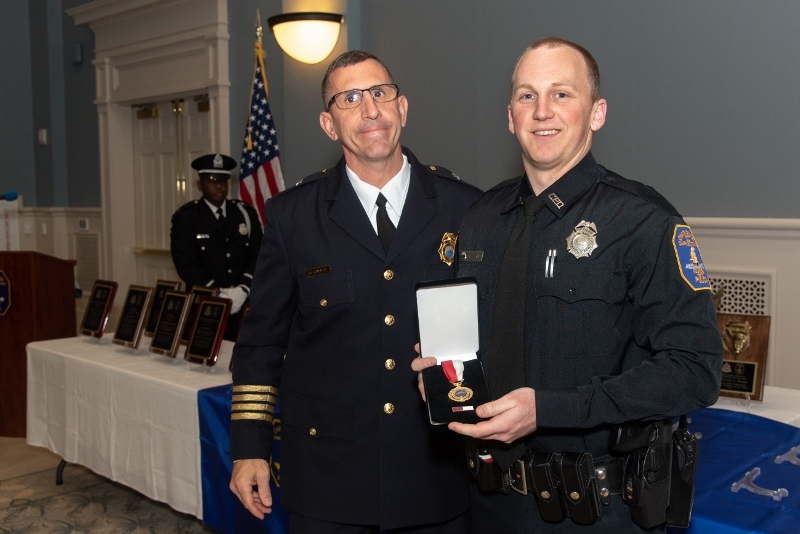 Officer John Wall is presented the Lifesaving Award by Chief of Police, Luther T. Reynolds on February 27th, 2019.
by Chief of Police, Luther T. Reynolds on February 27th, 2019.